1.We support the resolution of 4K and 1080P which make you a refreshment to enjoy the highest-definition videos and pictures. 2.3*USB 3.0 Stable,fast and safety transmission. 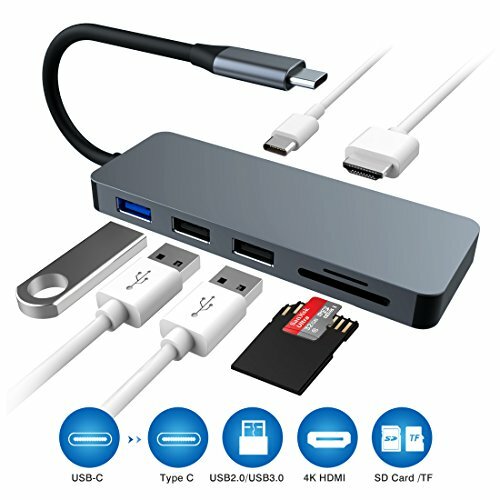 3.Connect to all USB C device such as PC/Tablet/Moble phone etc. 1.Keep your laptop charging to support all the functions. 2.It will be a little warm while using several ports together, it's normal and safety after long term testing. 3.Works with YouTube/Office/Safari/Facetime. But NOT for Netflix/HBO GO/Xfinity Player/Amazon Prime/ Hulu/Directv and Other Paid Videos In App. We promise a 90-dayhs money back guarantee, one year warranty and everyday online customer service.